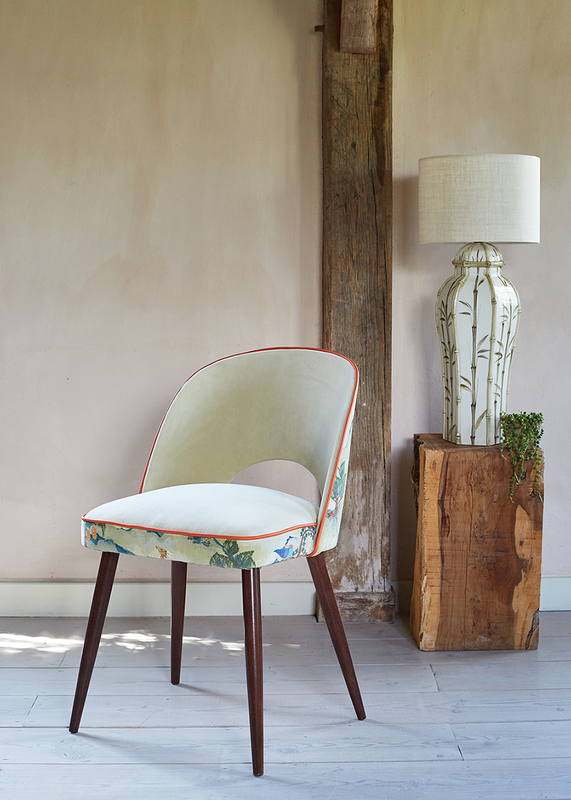 What started as an idea to revive old vintage furniture has turned into a successful business concept for Lucy Mortimer, the founder of Galapagos Designs. The main mission has been to bring European Mid-Century furniture design back into British homes. With a love of classic design, colour and collaborations, and an appreciation of the sustainability issues surrounding the production of cheap, throw-away goods, Lucy saw an opportunity to bring great designs back into production without compromising on quality or choice. 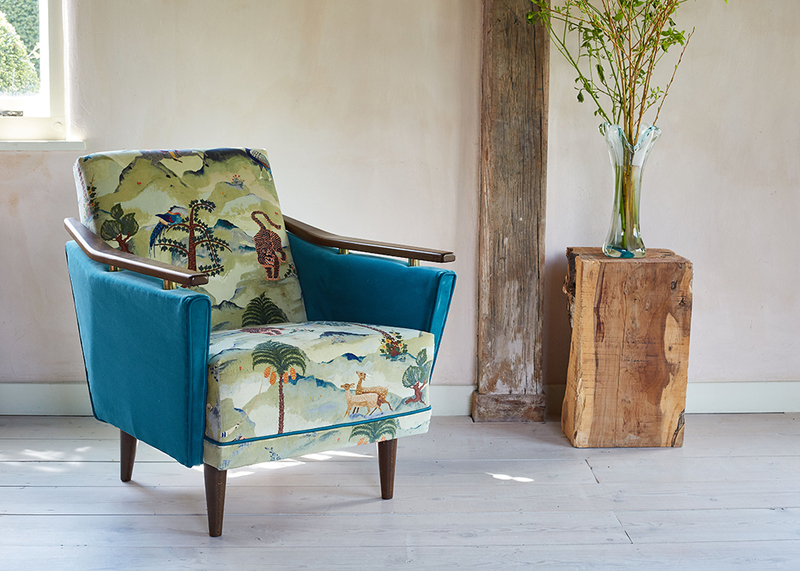 Initially starting with original vintage chairs and sofas, Galapagos provided customers with the chance to create a truly bespoke piece in a huge range of bold, fresh fabrics from new British designers. However, Lucy also realised that there was a similar need in the design sector and so they just released a new collection suitable for domestic and contract use too. Galapagos furniture is all made exclusively for them by a small family-run business. British made spring cages are used for longevity and comfort, and the furniture is upholstered to order by their craftsmen in Surrey. I love how Lucy is passionate about the environment and how she considers end of life of the furniture. Hence, their chairs and sofas are made whenever possible with natural materials like coir (coconut husk), wool felt and calico, which, unlike foam, easily bio-degrade at the end of their natural life. Bespoke upholstery can also create fabric wastage, so leftover materials are made into cushions or sent to a women’s charity in Nigeria where they are turned into saleable items, generating cash for underprivileged women and children. Please visit Galapagos website for more information and see their full latest collection.